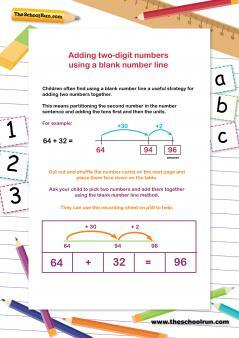 Help support your child's maths learning at home with a practical, targeted eBook. 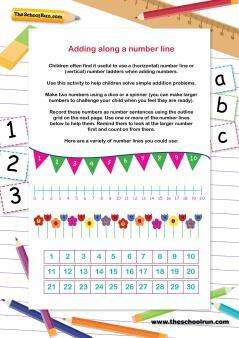 Addition topics covered include counting on, addition on a number line and using a number square, column addition and adding negative numbers. As well as parents' notes on the theory your eBook contains lots of practical activities and games to help your child practise what they're learning at home. 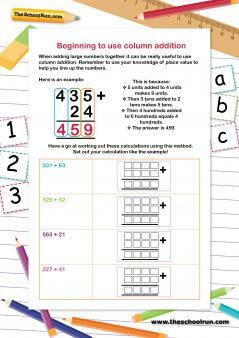 Teach your child addition is a reference guide and home-teaching kit which will help you understand exactly what addition-related skills your child is expected to have mastered in each year of the primary school curriculum. Primary school teacher and parent Matt Revill has compiled information, tips and activities to ensure that you have the right information at your fingertips so you can quickly make sure your child has fully grasped and achieved each and every skill for their correct year group and using the same methods that they are taught (rather than confusing them with the one you were taught at school!). 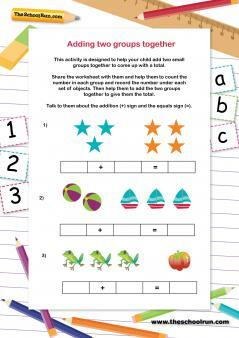 You'll be able to print off highly targeted and child-friendly fun worksheets to help them master each of the essential skills as they progress through school – in fun, five-minute sessions.